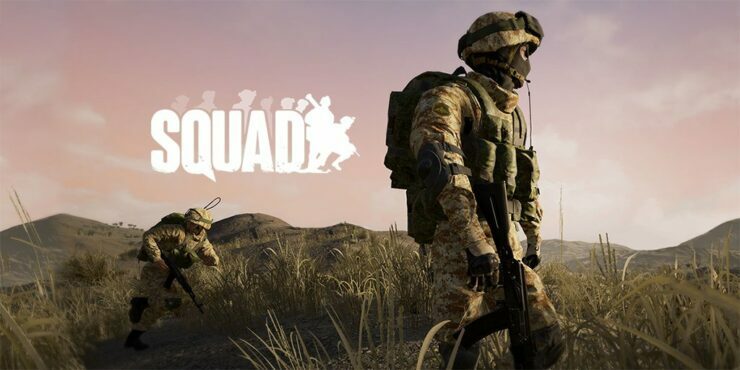 Squad, the military first person shooter crowdfunded via Kickstarter with $434,805 CAD in pledges, just received a rather important new update. The game, available on Steam Early Access since December 2015, was upgraded to Alpha v7 which introduces vehicle warfare. There’s also new content, a new UI Menu system, expanded server admin features, expanded modding support and the engine has been upgraded to the latest Unreal Engine 4 version (4.12). Squad kicks it into gear with the introduction of vehicle warfare, bringing truck transported troops dismounting in full squads pushing a flank; hit and run attacks with 50cal mounted technicals, APCs giving heavy fire support for mechanized infantry assaults; counter armor ambushes; teams running logistics and resupply lines to support FOBs at the front inside the revamped forward operating base system, all in 4 km x 4km maps that allow freedom of movement and tactical choice to the player. No matter how fast or accurate you draw and fire your weapon, Squad provides a multitude of gameplay roles, from medic to spawn point firebase defense, and now the introduction of logistics and resupply to firebases adds another way for players to get in the action while not physically holding the point. On the flip side, crafty saboteurs can now infiltrate and ambush enemy supply lines. Systems have been added to allow orderly play and encourage squad centric gameplay, the centerpiece being a vehicle reservation system controlled by Squadleaders in game, giving pro-active Squadleaders and coherent squads an edge in combat. The Insurgents will have their kit considerably expanded with the addition of the PPSH-41 “Papasha” Submachine gun, SKS rifle and G3 family of rifles. These weapons will be added to the existing lineup available to the Insurgents, giving players more varied means of dealing damage to the enemy. The SKS will also be featured for the Militia. The RPG-7 will now also be deployed with the ubiquitous PG-7V HEAT rocket, capable of dealing with most vehicle threats on the battlefield. Previously shown off many months ago, the RKG-3 Anti-Tank grenade will be making its debut on the battlefield. Finally a new deployable Heavy Machine Gun will be debuting in Alpha Version 7! The DShK-M is an old Soviet era machine gun that fires the massive 12.7x108mm round, capable of obliterating infantry and light vehicles. It will be mounted both on a tripod and also on the back of armed Technicals for both the Insurgents and Militia, giving gunners a full 360 degree arc of fire. Gunners need to be even more aware as they can also quite vulnerable to enemy fire. Storming into Squad is the new map, Yehorovika. Designed from the ground-up to be a vehicle-orientated map, it is making its debut along with vehicles so be prepared for some high-speed mechanised infantry combat on a level never-before-seen in Squad. You will now find even more variety among the maps in SQUAD with the addition of new layers added including Gorodok Dusk and Chora Night. As well, with the addition of vehicles, each map will have an infantry only version available for those who enjoy the pacing and gameplay of infantry combat.